Re-reading the Fantastic Four comics from the start. She-Hulk joined the team three issues ago, but it’s not until issue #268 that we get to see her do some actual Fantastic Four-ing. We begin with the FF and Alicia (who is of course Lyja the Skrull in disguise) gathered around Sue’s hospital bed. The caption reminds us about the miscarriage in the previous issue. Reed consoles Sue, saying that she shouldn’t blame herself, and that everything that could have been done was done. In the hallway outside, Dr. Octopus starts to freak out, so Bruce Banner transforms into the Hulk. Before they can start fighting, Reed breaks them up to protect all the hospital patients. Reed convinces Doc Ock to go back to prison (except that he just came from a psychiatric hospital?) voluntarily. 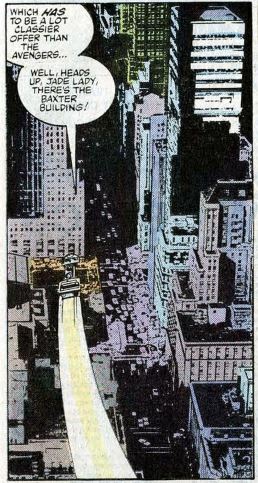 Johnny offers to take She-Hulk to the Baxter Building and give her the grand tour. Cut to Belle Porte, Connecticut, where Reed and Sue have been living as their secret identities to raise Franklin. They haven’t been home for a while, and a neighbor lady named Alma is snooping around the house peeking in windows. Alice, the babysitter, walks by and accuses Alma of spying on all the neighbors. That abruptly ends as we go back to the Baxter Building. Johnny and She-Hulk discuss how Reed and Sue won’t be up for super-heroing for a while, but the FF won’t be officially breaking up. An alarm goes off, coming from the trophy room. It appears that someone has broken in and stolen Doom’s mask. Johnny and She-Hulk are blasted with electrical energy. 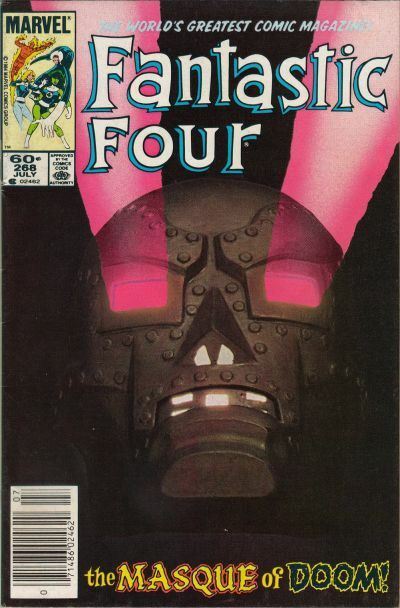 It’s coming from Doom’s mask, which is somehow flying around by itself, shooting electric beams out of its eyes. It flies too fast for Johnny to hit with fire, or for She-Hulk to get a hold of. It then protects itself with a concussive field so powerful that it knocks She-Hulk out of the building. She manages to fall in such a way to minimize damage to the street below. Reed shows up, and joins the battle. He deduces that the mask is being animated by an outside source, so he presses one of the big red buttons. This makes the mask fall to ground, lifeless. Later, after examining the mask in his lab, Reed says the mask was not following a pre-programmed routine, but was being controlled by someone. Could Dr. Doom still be alive? Unstable molecule: Reed convinces Dr. Octopus to return to “prison” by threatening him. He says if Ock doesn’t turn himself in, Reed will come after him. Fade out: Sue is dealing with miscarriage, reinforcing the idea that a “normal” tragedy could happen, after all the FF’s wild adventures. Flame on: When the lights go out inside the trophy room, Johnny uses his fire to provide light. This is an extremely obvious use of his power that we don’t see from him often. Fantastic fifth wheel: She-Hulk is still nervous about living up to the FF name, worried about others thinking that she’s a joke. There’s no interaction between her and the Hulk in this one, but, really, they don’t hang out very much. The Alicia problem: At the hospital, Lyja thinks “If only there were something I could do, something I could say…” which definitely has a double meaning once you know she’s a Skrull. 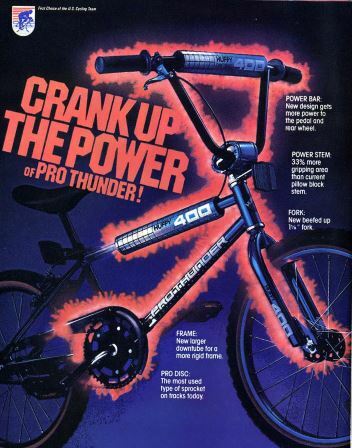 Commercial break: Crank up the power! Trivia time: How ‘bout that photo cover? Marvel experimented with a bunch of these in the mid-‘80s, with photo covers on issues of Amazing Spider-Man, Marvel Team-Up, Dazzler, and probably others I’m not aware of. The mystery of Doom’s mask isn’t going to be resolved for quite a while, so don’t hold your breath. Fantastic or frightful? This issue does a good job of balancing the sadness of the miscarriage with crazy superhero action, and it gives us a good sense of what She-Hulk will bring to the team. Not a lot of substance happens, but it’s nonetheless a well-written, well-drawn issue. Next week: You’ve been targeted for termination.